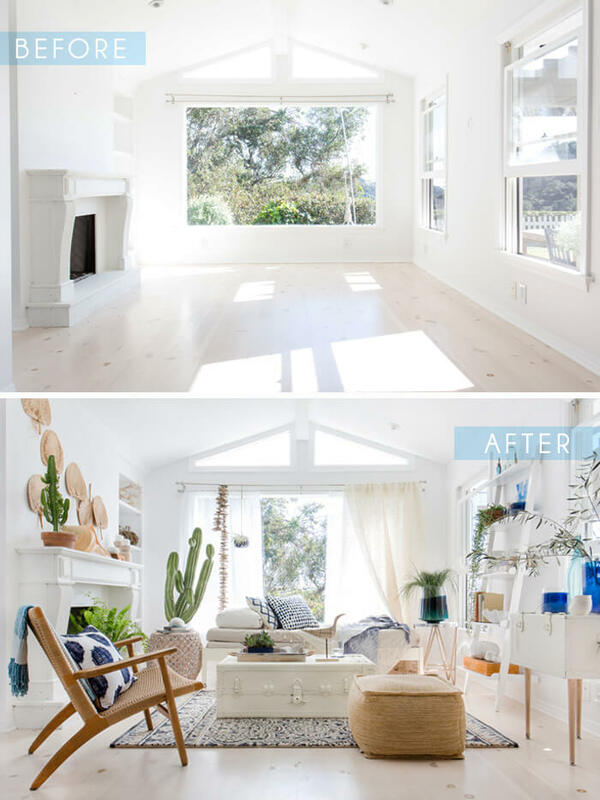 Emily Henderson‘s sunroom is blue and white themed with objects from Target. 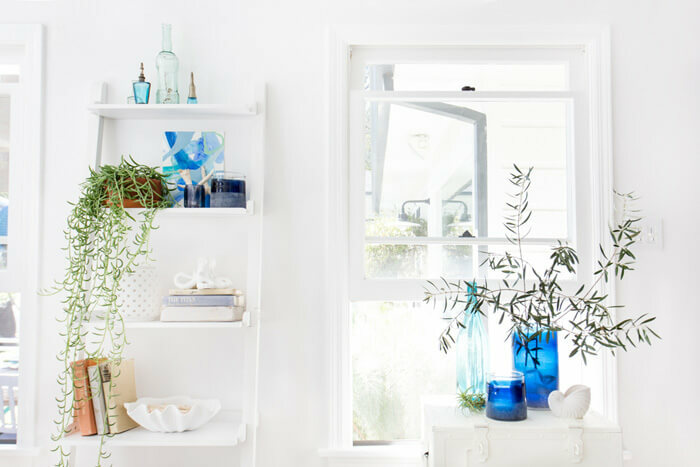 The objects inside are balanced– a mix of blue and white with other warming elements, so the whiteness of the walls and the blue pieces are never allowed to completely take over the room. You too can get this look! Add or find a favorite antique rug and lay it down on the floor. A dark patterned one will help center an all white room. 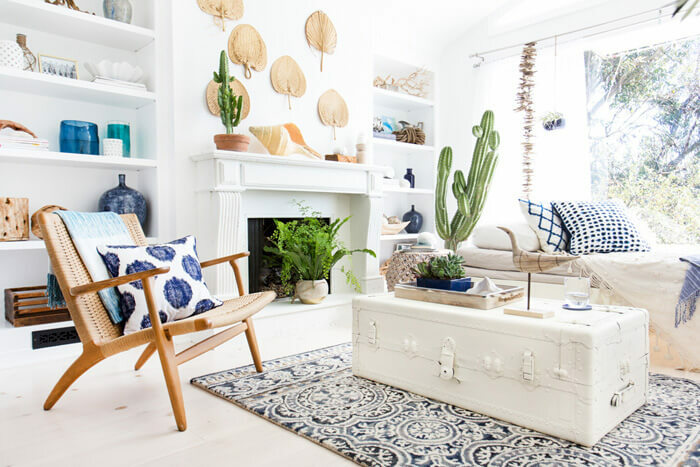 Next, you will need some choice furniture like the painted trunk in the center, sofa, chairs, side tables and shelves seen here. 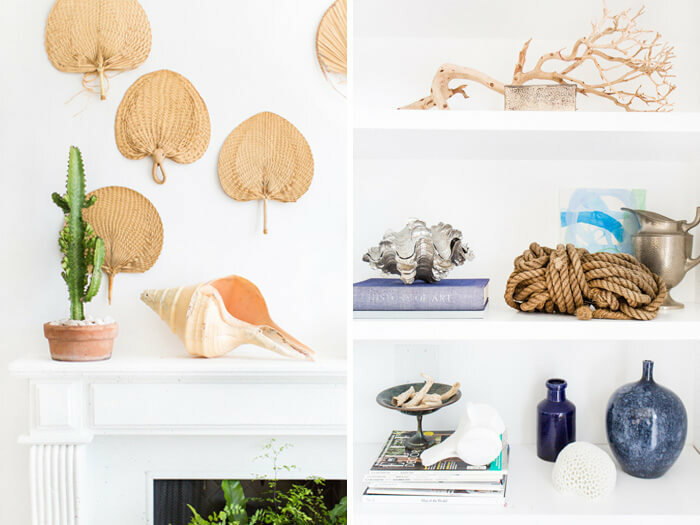 Break up the starkly white walls with a little hanging artwork and white shelves that house accent pieces. 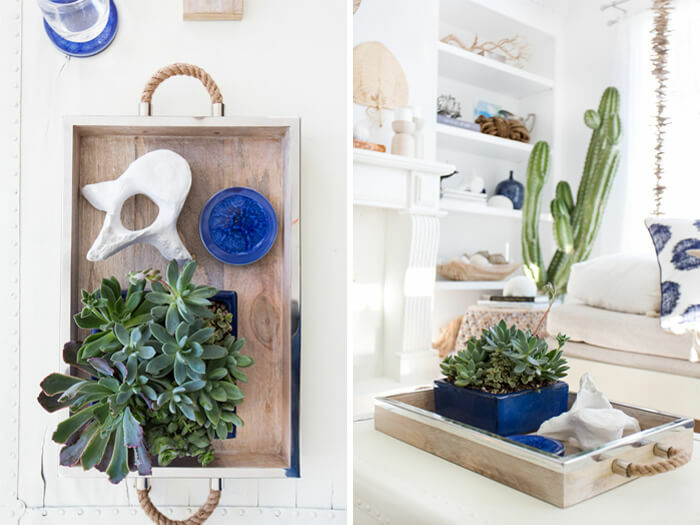 Add blue glass vases to shine and catch the sunlight. This sunroom adds a few plants and pastel books for a nice final touch. 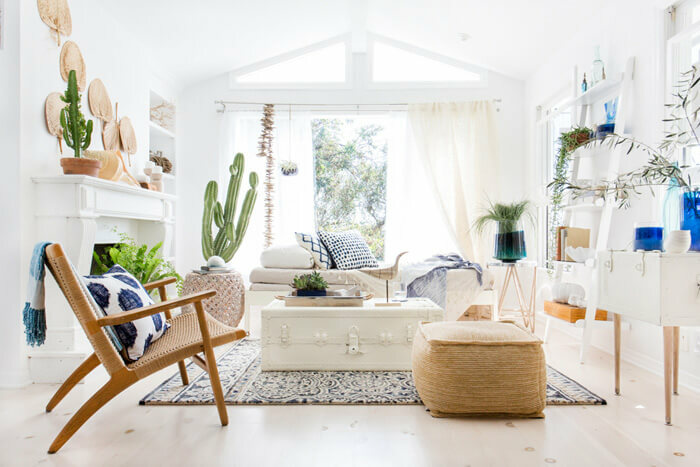 Here the designers have a cactus, various succulents, and houseplants hanging out and adding some greenery, but you could add whatever potted plants you desire. A wooden pouf and chair add warmth. 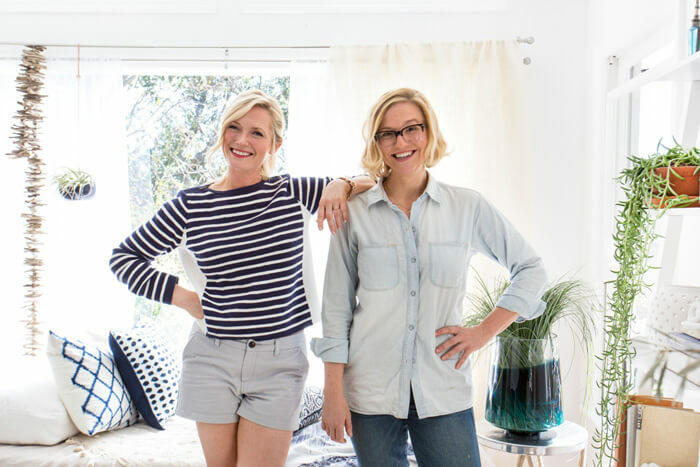 The wooden fans decorating the wall, the artwork, and a number of accent pieces keep the room from being too bleached. Throw some colorful throw pillows on the chaise and chair, and add a wooden bird. With the help of some flowing white curtains, this design is complete. Do you like this sunroom? 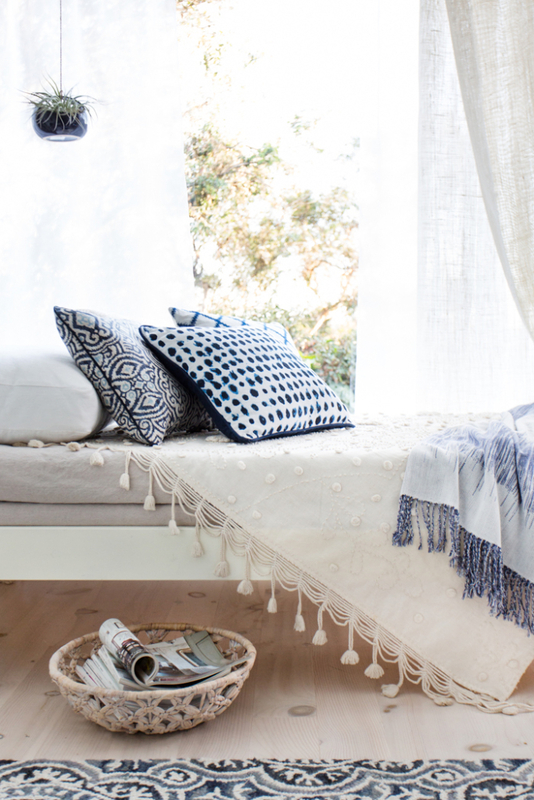 Would you keep the blue and white or choose another color duo as your go-to theme? Let us know in the comments below!